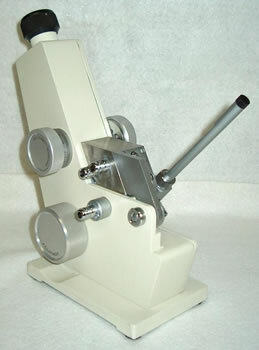 The Abbe Refractometer Model AR-001 is designed to provide a Refractive Index measurement (nD) and Brix measurement for transparent, semitransparent and solid matter. The instrument can be connected to a thermostatic bath for accurate measurements over a temperature range of 0° – 70°C (32° - 158°F). The Abbe Refractometer is widely used in the oil industry, pharmaceuticals, paint, food processing, chemicals, sugar refineries, gemologic applications, schools and research centers.